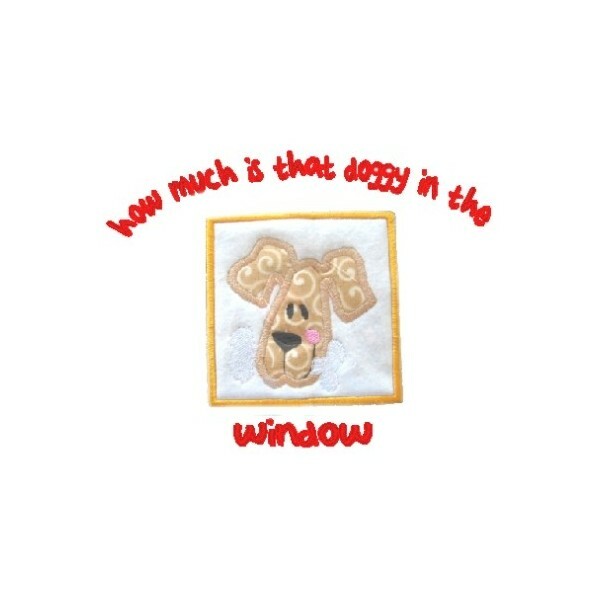 This is a very large applique Doggy in the Window design. 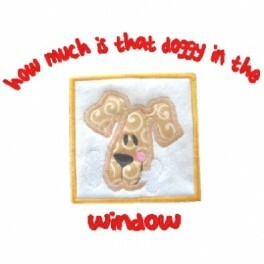 This design is a very large applique` Doggy in the window. The size of the design is )" : 7 (11/16)" x 3 (1/4)" : 8564 Stitches.